Established in 1964, the Ann Gibson Insurance Agency was founded on a philosophy of offering personal, professional service. The agency grew into a full-service agency with a staff of 6 insurance specialists that utilizes state-of-the-art computerized rating systems that instantly compares rates of competing insurance companies for the same insurance coverage. As a member of the Ann Gibson Insurance Agency, Inc., The Keller Office has an incredible service and offers the best rates in the industry. The same cutting-edge equipment and rating tools we use at the Ann Gibson Insurance in Keller, Texas allows us to offer you the best possible rates. 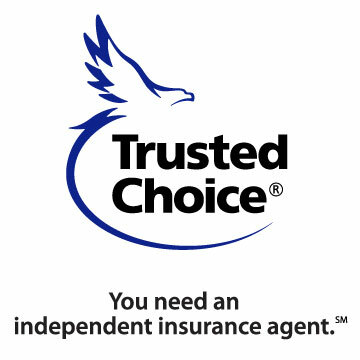 We are an Independent Insurance Agency which means that we do not work for ANY insurance company, we work for our customer. We represent a carefully selected group of financially sound, reputable insurance companies, placing your business with the company offering the best coverage and pricing. Darrell Roach joined the staff at Ann Gibson Insurance Agency in February of 1988 and was able to be a part of Aetna's Prime Agent Program, committed to excellence and professionalism in the insurance field. His extensive training at the home office in Hartford Connecticut emphasized product knowledge and sales in the area of auto, homeowners and life insurance. He holds a local Recording Agents license, a Life and health license, and the LUTCF (Life Underwriters Training Council Fellow) designation. Darrell's expertise is in life and health insurance and the Commercial Busienss, but he is active in all phases of the agency business including personal and commercial accounts.Darrell has been servicing clients in Keller for over 29 year. Darrell has lived in Keller for over 50 years. He has seen many changes in Keller and is involved in the Keller Rotary Club, Keller Lions Club, and Keller 4-H. Darrell is a Graduate from TCU with a BS in biology. 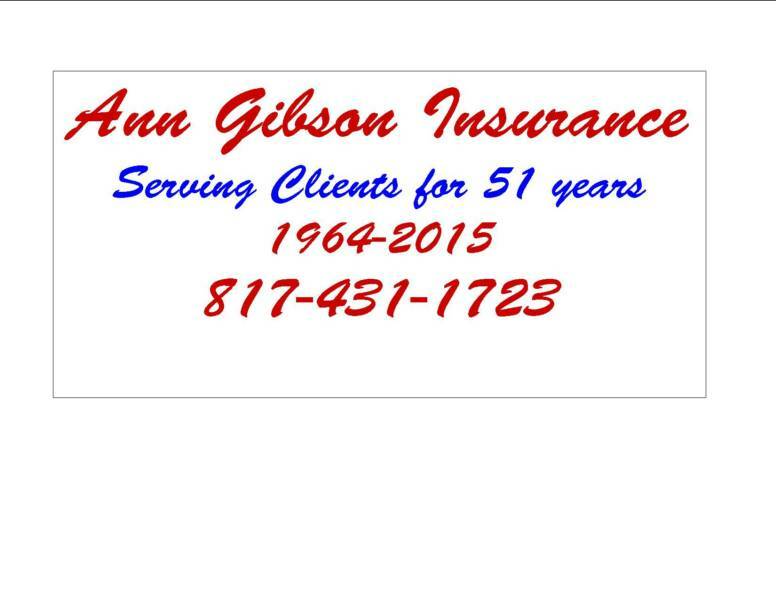 Ann Gibson started her insurance career in 1955 and brought her experience and knowledge of the field to the small rural community of Keller in 1964. Ann, who is a TCU alumnae says that it is a source of personal gratification to know that she can help people when the need arises. Ann has been recognized with many different awards over the years, receiving the coveted "Agent of the Year" award 2 years straight from America States Insurance Company. She has a hand carved plaque that was awarded to her after her 5th consecutive year of earning a place in the "Great Performance Club" of Aetna Property & Casualty Insurance Company and has continued to maintain that honor for over 25 years. She was a founding member of the Keller Chamber of Commerce and is a lifetime member of the PTA. Ann passed away in September of 2014 at the age of 99. Her legacy continues in Keller and Burleson as we will always be guided by her commitment to the local independent agency channel where insurance knowledge and excellence in customer service is paramount. Please contact our other lines in order that we can service your needs!